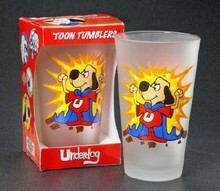 16 oz Underdog Toon Tumbler that came out in 2005. Still available in most online stores. Published by Dark Horse Comics. Came out in December 2006. 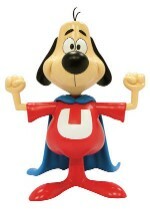 This is a cool ornament for your tree for Underdog collectors. 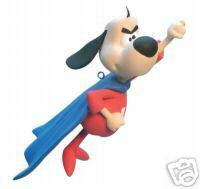 This Vinyl Figure also made by Dark Horse came in August 2006. It is 9" tall.